Navelbine is a chemotherapy medication for pleural mesothelioma that slows down the ability of mesothelioma cells to divide and spread. Navelbine (generic name: vinorelbine) is a relatively new chemotherapy drug on the mesothelioma scene. This drug has shown acceptable response rates in clinical studies and is also being researched for a role in second-line treatment for pleural mesothelioma patients who have already had their first round of chemotherapy. As a relatively new chemotherapy drug, Navelbine has a promising effect on improving survival times. 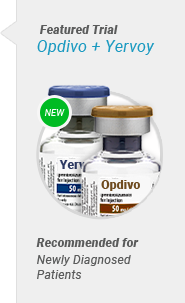 It is often used in combination with other chemotherapy drugs, which is generally more successful than Navelbine alone. Navelbine is administered in several ways. Like most chemotherapy drugs, it is commonly administered by means of an IV drip. However, it can also be taken in capsule form, affording patients the benefit of taking it at home. Navelbine is a unique chemotherapy drug in that it isn’t fully synthetic. It belongs to a class of drugs known as plant alkaloids, simply meaning that it is derived from plants. Navelbine is a chemotherapy drug derived from the periwinkle plant that inhibits cell division. It was first approved in 1994, making it a relatively new drug in the mesothelioma treatment game. It is also used to treat breast cancer and other lung cancers. 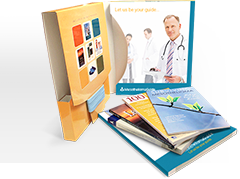 Belonging to a unique class of chemotherapy drugs known as vinca alkaloids (or plant alkaloids), Navelbine offers a unique alternative in treating mesothelioma. Central to all chemotherapy drugs is their ability to interfere with cancer cell growth. Healthy cells replicate their DNA and divide into new, healthy cells but eventually commit cellular suicide (apoptosis) after approximately 50 divisions to prevent abnormalities. Because mesothelioma cells aren’t subjected to cellular suicide like healthy cells are, they continually divide. This results in the formation of tumors and metastasis to the lymph nodes and other organs. Navelbine prevents mesothelioma cell division by interfering with microtubules, which are the molecular structures that pull cells apart in the last stages of cell division. When mesothelioma cells are prevented from dividing, they eventually die off. This study evaluated how effective this combination was as a first line of treatment for patients ineligible for surgery. Most patients received 4 cycles of chemotherapy and had a median survival of 16.8 months. 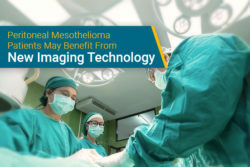 Relapsed mesothelioma patients currently have few treatment options, however, this study indicates potentially successful results. Patients received weekly cycles over 6 weeks and had an overall survival time of 9.6 months. Second-line treatment of mesothelioma is still being developed. In this study, patients treated with Alimta and cisplatin as first line treatment were given Navelbine and gemcitabine as second-line treatment. 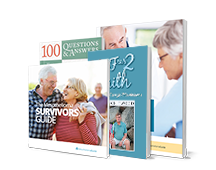 Median survival was 10.9 months, indicating potential but also a need for further research. 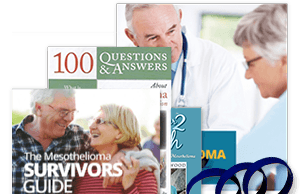 Learn more about Navelbine and other chemotherapy drugs in our free Mesothelioma Guide. A yellow liquid capable of killing mesothelioma cells, Navelbine is administered in several cycles, each approximately 30 minutes long. It is traditionally applied via an IV drip. Additionally, Navelbine can be administered in capsule form. Navelbine capsules come in doses of 20, 30, and 80 milligrams. 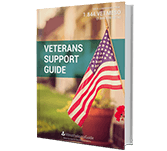 An obvious benefit to the capsule form is that it can be administered from home. However, patients taking the capsule form of this drug should be careful not to puncture or bite the capsules as the chemotherapy can cause problematic mouth pain. The side effects of Navelbine are characteristic of most chemotherapy drugs. These side effects are caused because the drug is unable to distinguish healthy cells from mesothelioma cells—healthy and cancerous cells alike are attacked. In order to protect patients from complications arising from taking Navelbine, doctors monitor their blood cell count and overall health. The decrease in blood cells resulting from taking chemotherapy causes a vulnerable immune system and higher risk of infection. The decision to take Navelbine is ultimately up to the patient and their family. 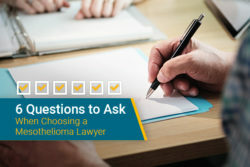 However, finding a trusted mesothelioma specialist who understands your specific diagnosis is the real key to getting the right chemotherapy for you. Your specialist considers a number of factors including your age, overall health, and stage of cancer. 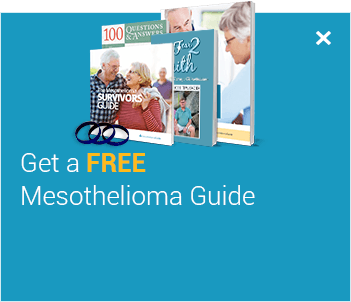 Find a mesothelioma specialist with our free Doctor Match program.